You only have to take a look at your WhatsApp updates or visit Instagram to see that people are getting engaged every hour. Women are showing off their clean-cut rings to friends and family on social media and we get just as excited as everyone involved simply because….we love LOVE! To help with new marriage journeys, we periodically curate the latest and most rave-worthy traditional styles to inspire our brides-to-be, which brings us to our focus today: Aso Oke-made Iro and Buba attire. These days, the Aso Oke fabric is for all regardless of whether you’re from the east or west; however, for weddings, it remains the preferred material for the Yoruba Bride. As part of a long-standing tradition, a Yoruba bride wears the woven fabric which is usually sewn into an Iro and Buba, complete with the renowned Gele headwrap. This traditional Yoruba fashion hasn’t changed in ages, but what has is its style take. Towards the end of 2018, we caught on a trend that showed that the Iro and Buba were experiencing a sort of major revolution; the designs were becoming more innovative and the fabrics, more exclusive and elaborate, in tune with personal preference. 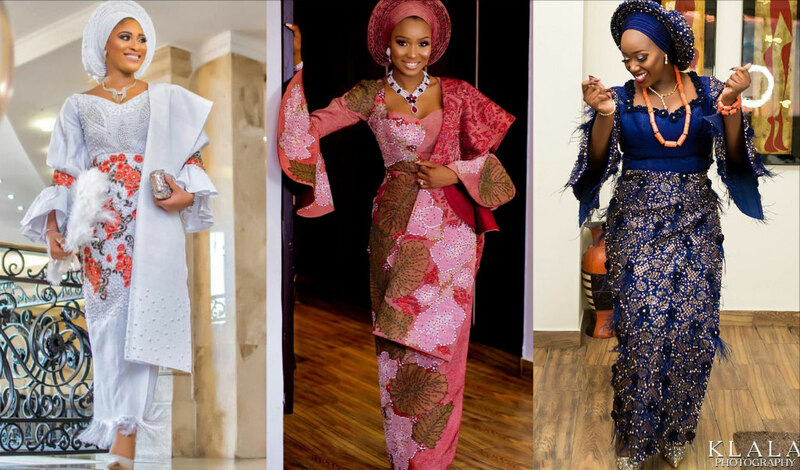 If you are a Yoruba bride-to-be or know one, this look book will help you get with the times as you prepare for your special day.